Provide comfort for the family of James Packard with a meaningful gesture of sympathy. James Miller Packard passed away Wednesday, January 30th, after a three year battle with Lewy Body Dementia and Parkinson’s disease. He was born in Monroe, Maine to Raymond Gilmore Packard and Alice Wadlin Packard on January 25, 1943. Visiting hours will be at Hall’s Funeral Home, from 5-7p.m. on Wednesday, February 6, 2019; a funeral service will be at 2:00 p.m. on Thursday, February 7, 2019 at Hall’s Funeral Home, 949 Main Street in Waldoboro. 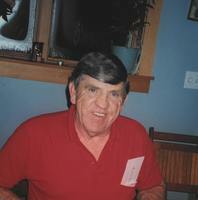 Provide comfort for the family of James Packard by sending flowers.